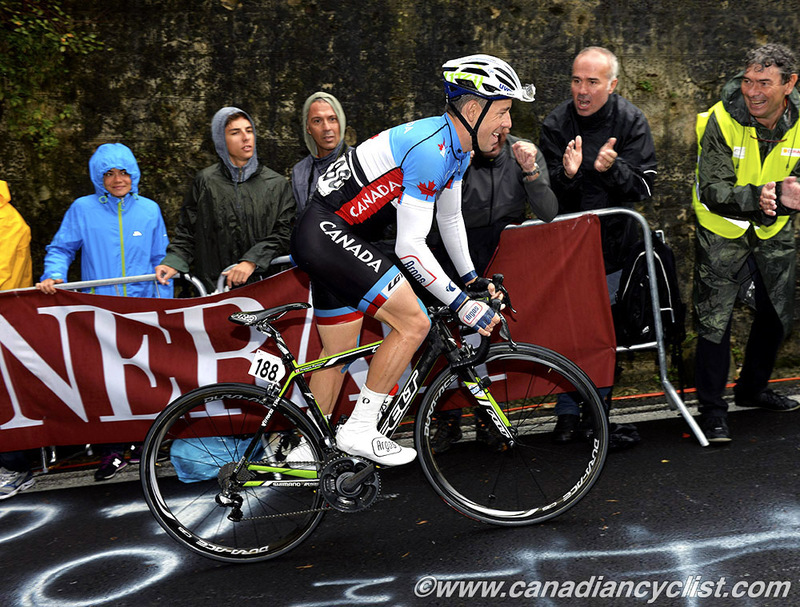 Canadian rider Francois (Frank) Parisien is one of many riders facing an uncertain future for 2014 as this season draws to a close. The disappearance of numerous teams at both the Pro Continental and WorldTour levels has unleashed a flood of riders on the market, and Parisien's unsigned status was confirmed earlier this week when his current team Argos-Shimano announced a few new signings for 2014, with a statement at the bottom that Parisien was leaving the team for "personal reasons". Frank Parisien had alluded to the fact that his team situation was uncertain for next season in an interview we did with him at the Road Worlds last Sunday (see the entire interview Here). He was asked about his 2014 plans by our interviewer, Monique Hanley, and stated: "Right now, all doors are open. I don't know what I'm going to do, I've been thinking about that a lot. It's going to be a difficult decision, but we'll see. All I can say right now is that all the doors are open; with the team, with retirement, with doing something else ... with working with another team. I don't know ... maybe switch to mountain bike or cyclo-cross; like I said, right now all doors are open and I'm just waiting for the next month to see how it unfolds." We subsequently spoken with Frank yesterday from Italy, where he will be racing his final race of the season - the Giro di Lombardia - this weekend. He reiterated that he could not provide any further clarification on his situation, stating that he was still under contract to Argos-Shimano until the end of the year. However, he did say that he was working on plans, and would be able to make an announcement next month.